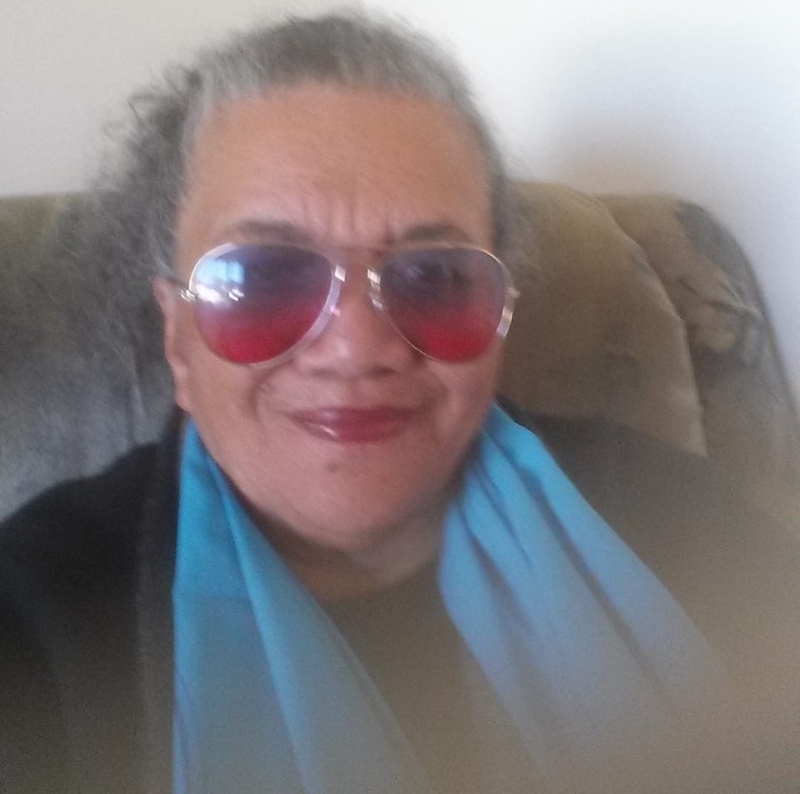 South Auckland kuia Enfidaville Titore says she was a silent witness to a disrespectful comment about the te reo Māori train announcements which, along with English language messages, now signal upcoming stops on the Auckland train network. The Ngāpuhi woman was travelling from Manurewa to West Auckland to visit her nephew in hospital on a Tuesday afternoon in March when she says she overheard a non-Māori woman admonish another woman who had allegedly made a derogatory comment about the te reo Māori public service messages. Te Ao spoke to the kuia, who says she didn't bother to film the conversation. "I'm not one for doing live feeds of silly incidents, besides my phone was turned off," she says. Titore says an older woman, in her "60s or 70s", was annoyed at hearing the Māori language used on the train service. As the Western Line train approached the New Lynn stop about 1.15pm, she says the woman reacted badly to hearing the reo Māori announcement. 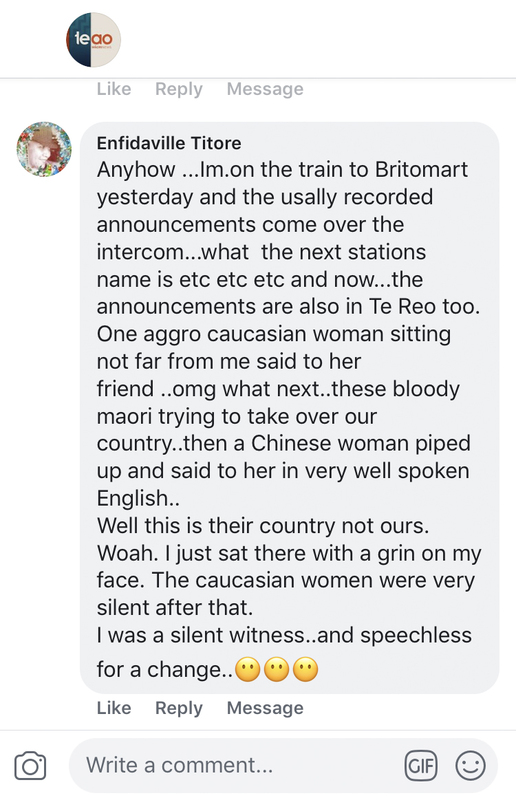 Titore says the disgruntled passenger said to her female friend seated beside her, "[Oh my God] what next ... these bloody Māori trying to take over our country." According to the kuia, there were about a dozen passengers in the carriage at the time. Titore, who is in her own words "pretty hard of hearing", says the woman was speaking loudly enough that even she could hear her. The kuia says she wasn't particularly offended by the remark but was pleasantly surprised when the woman seated directly in front of her turned to correct the woman across from her. The woman, who Titore says looked about 40 to 50 years old, reportedly chided the unhappy passenger, saying "Well, this is their country, not ours." The kuia says the disgruntled lady and her friend "were very silent after that." “I think they were pretty embarrassed because they were very chatty before,” she says. Titore told Te Ao she congratulated the woman for speaking up for the Māori language. "I tapped her on the shoulder and said 'good on you' and she looked at me and smiled." Titore's Facebook comment posted on the Te Ao Māori News page. Titore commented about the incident on social media after reading a Te Ao Māori News article on discrimination against Māori. In her Facebook post she said, "Woah. I just sat there with a grin on my face. I was a silent witness and speechless for a change." Titore told Te Ao this was her first experience of hearing the te reo Māori train pānui, particularly over a longer than usual journey. She says she was amazed and pleasantly surprised by the reo Māori messaging. “I thought, 'wow, this is new'." However, she acknowledges that "people get offended by it” but feels people should embrace it because we are in Aotearoa after all. “If I go to China everything is in Chinese, go to Japan the same thing,” she says. The first stage in Auckland Transport's te reo on public transport strategy began with safety announcements in June 2018. Click here to read Māori Television's article. Auckland Transport, which oversees the city's train service, says the clear majority of passengers support the reo Māori announcements. Media Relations Manager Mark Hannan says, "We had an early technical issue with the volume of the announcements which upset some passengers plus we had the occasional person who wasn’t happy." However, he says "They were very much in the minority and the complaints quickly disappeared." The most heartening news is, perhaps, the joy many Māori are said to be experiencing hearing te reo Māori on their travels. The general reaction from Māori passengers has been "a sense of pride" says Hannan. He says comments from one of the transport body's Māori engagement advisers sums this up well.